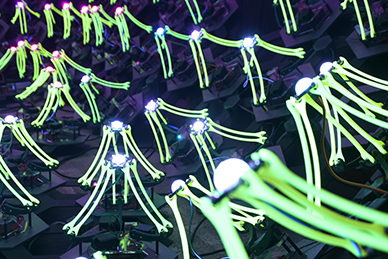 Our project consists of 84 individually addressable delta robots that collectively respond to physical gesture with patterns of motion and light. The robots react to discrete hand movements via the LEAP Motion sensor. The sensor is installed in a podium in the center of the installation, giving the user an immersive personal experience of control. This 2016 iteration of our kinetic sculpture represents our latest development efforts in human to machine interaction. 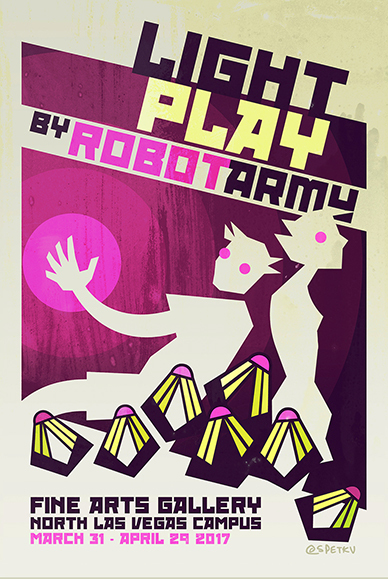 To fund the production of our robot army, we involved the maker community by offering our robot as a kit on Kickstarter. For every unit sent to a supporter, we have added an additional robot to the ever growing installation. If you're interested in learning how this project has evolved over the years, visit Robotic Arts to see our documention! 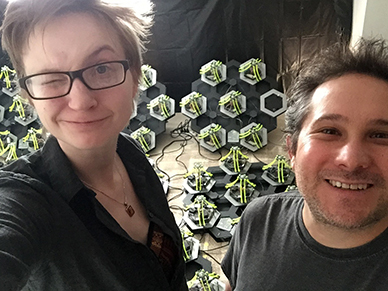 We are an artist duo who specialize in making interactive kinetic sculptures! 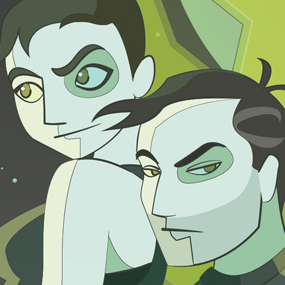 By combining character design, engineering, and robotics we create unique mechanical art meant to stimulate an interpersonal experience between human and machine. Sarah is the project designer and propaganda master, responsible for imagining and producing the physical aspects of the installation, as well as promoting it on social media with illustration. Mark is the electronics engineer drawing on over 20 years of experience in Silicon Valley. As an expert at circuit design and code writing, he sews the technical seams of the project tightly together.